I was opening the package when Mrs. Time Bum entered the room. My eyes were wide as I withdrew a blue box and removed the top half to reveal the gleaming treasure within. "Another watch?" She asked. "Which one is this?" 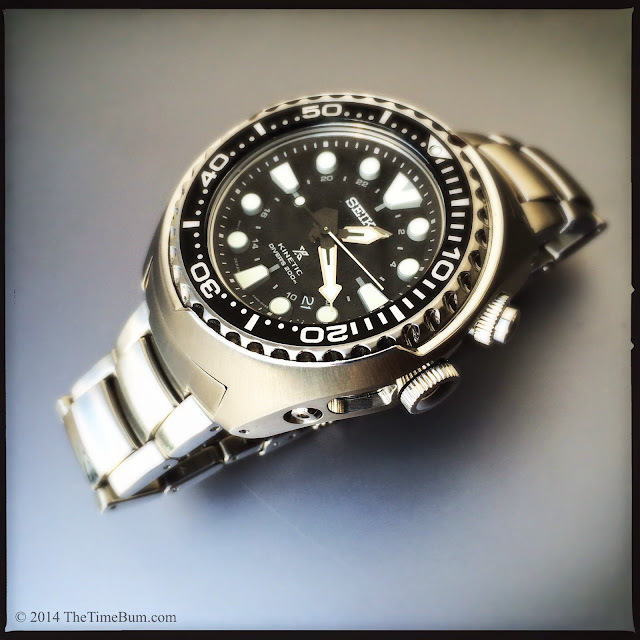 "It's a Seiko Prospex GMT Diver's SUN019 in for review!" I replied excitedly. "It's got a Kinetic drive with GMT function, and it used to be you could only get the Seiko Prospex in Japan, but they just released them in the States this year, and I've got this one on loan from a guy in Chicago who is now in Maine and it's brand new and–" I paused for breath and noticed the look on her face. "I gather you are not impressed." I said. "No, I am not." She replied. "It's huge and ugly. Otherwise, it looks like all your other divers." Faithful readers know that I value Mrs. Time Bum's opinion. She has impeccable taste and knows a thing or two about watches, but this time, I would not be swayed. I loved it. This beast of Seiko just called to me. 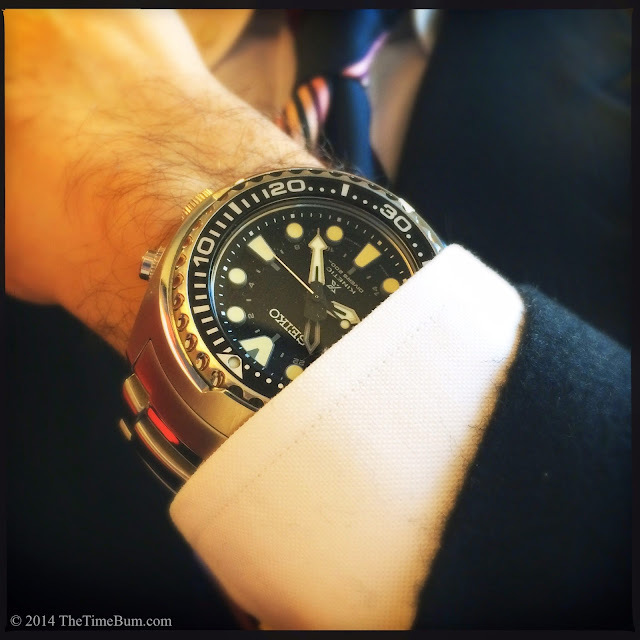 There are times when you just want to wear a crazy big brute of a watch – and not to impress the ladies. If you are flashing a massive dive watch in hopes of attracting a mate, I've got news for you; they just think you are overcompensating for (ahem) something else. No, I wanted this hunk of steel on my wrist for me. 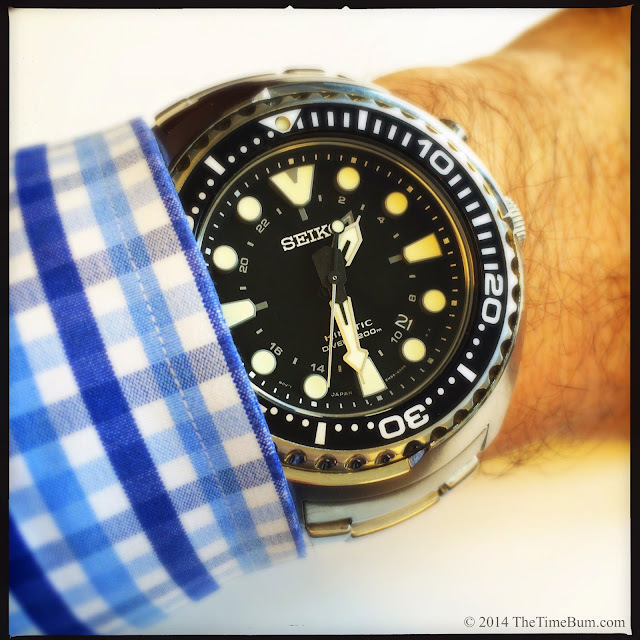 Seiko describes the Prospex line as "Serious Watches for Serious Sports." It is new to the States, but popular overseas. It includes automatic and solar watches as well as the interesting Kinetic movement in this model. The SUN019 lists for $695, which is a fair chunk of change, but it buys you a lot of watch, both literally and figuratively. Of course, savvy Bum shoppers will find them online for almost $200 less. By any standard, the SUN019 is a brute. 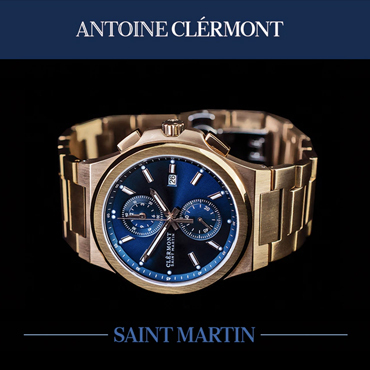 Its brushed stainless steel case measures 47.5mm wide, 52mm long, and 16mm thick. 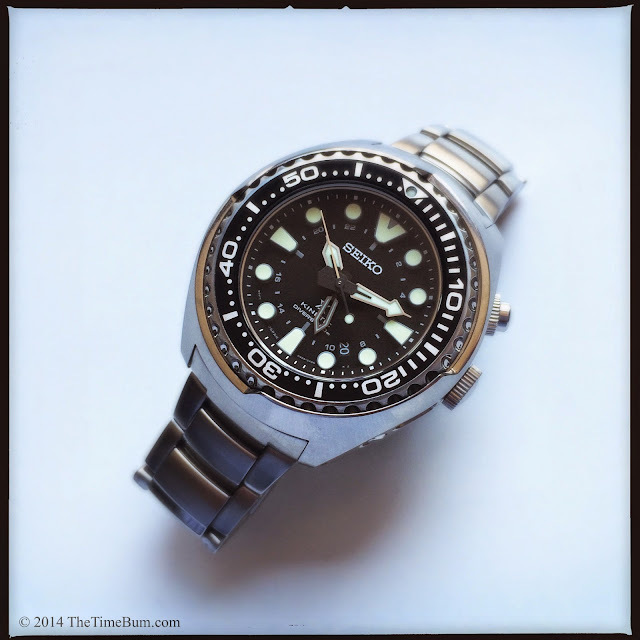 It is a dual case design that follows a long line of Seiko "tuna can" watches going back to the original 6165-7010. The inner section houses the quartz kinetic movement, the outer section incorporates a bezel shroud. Gorgeous brushing radiates across the surface, and runs horizontally along its sides. It is secured with four screws, the polished heads of which are exposed. Cutaways on either side reveal polished channels cut into the inner barrel. It is a visual treat although I can't imagine how you would clean it if things got mucky. The screw-down crown is positioned at 3 o'clock. It is broad with a rounded, unsigned head and coin edge. Unlike those on many tool watches, it is not terribly tall. I found it was still easy to grip and operate, and the low profile preserved the watch's clean silhouette. It is accompanied by a 2 o'clock pusher secured with a screw-down collar with a coin edge that matches the crown. This button operates the power reserve indicator, which begs the question, what is that doing on a quartz? The 5M85 Kinetic movement is a true hybrid. It is a quartz mechanism, as durable and accurate as one would expect, but with the addition of a rotor. Just like an automatic, the rotor swings when you wear the watch and the kinetic energy is captured. Unlike an auto, the energy is not used to wind a mainspring, but instead to charge a battery. It is a brilliant concept, and one that makes particular sense for a dive watch, where the unflappable accuracy of a quartz is most useful. I liked to think of it as a Formula One KERS unit for my wrist. Power reserve is 6 months when fully charged. Press the button when the second hand is at 12 o'clock. It then moves quickly a position between 1 and 6 o'clock, indicating a reserve of approximately one day, seven days, one month, or six months. Normal operation resumes a few seconds later. As the battery nears depletion, the second hand provides moves in two second jumps, providing an additional warning. If you listen carefully, you can hear the rotor at work. It is louder than Seiko's true automatic movements, but quieter than Miyota autos and has a more pleasant noise. Where Miyotas tend to have a bit of a rattle, the Kinetic has a tight winding sound. I know some watch enthusiasts are left cold by quartz, claiming those watches lack soul. The Kinetic may not be a full mechanical but it does have an automatic's heart. Maybe it's a cyborg. If you let the battery drain and don't want to wait for the rotor to do its work, you can use a Seiko induction charging unit to bring it up to full capacity. 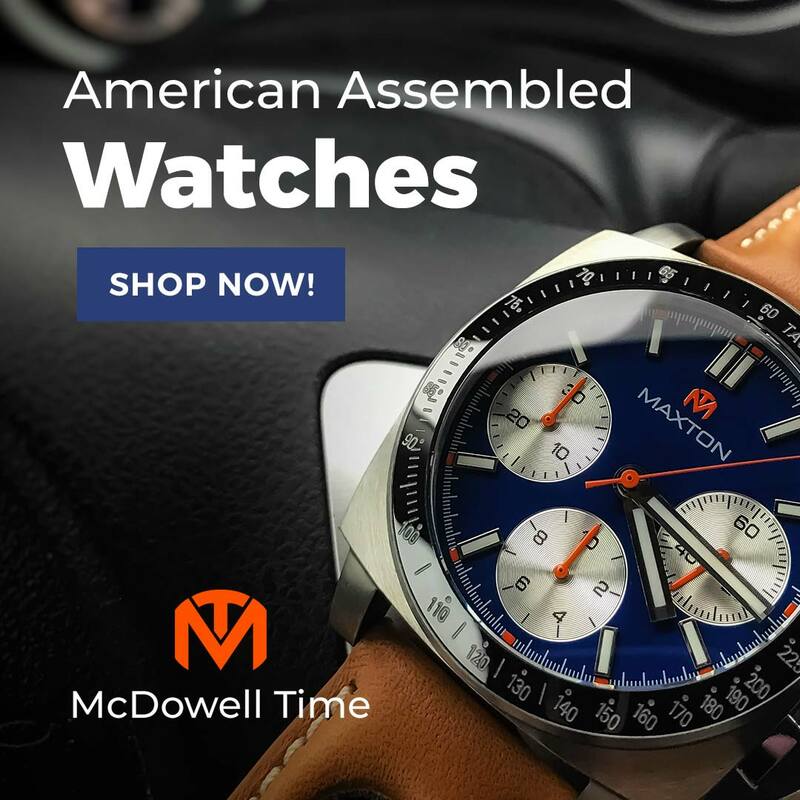 This is a $250 accessory, not included with the watch. According to fellow blogger SeikoParts.com, you can accomplish the same thing with a $15 Braun electric toothbrush charger. I did not try either method, but I like the idea. You can read more about the toothbrush hack here. 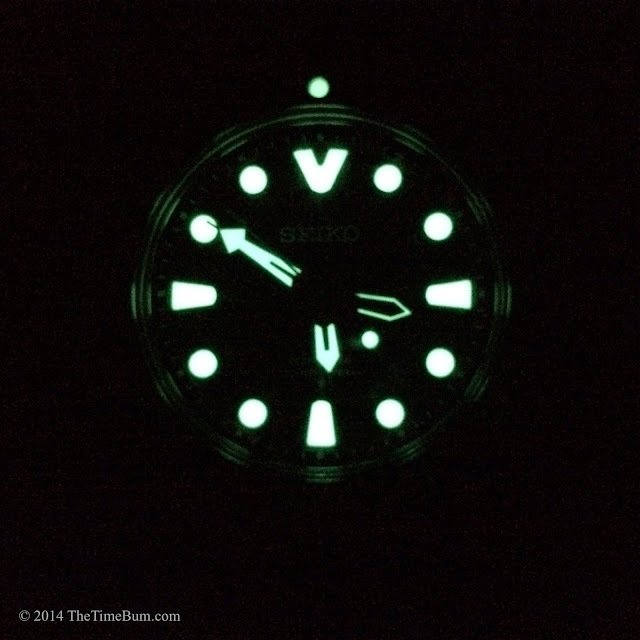 Like any proper divers watch, the Prospex has a unidirectional timing bezel with a lume pip. It is brushed and ringed with tiny polished detents that provide an appealing hint of mechanical bling around the black insert. 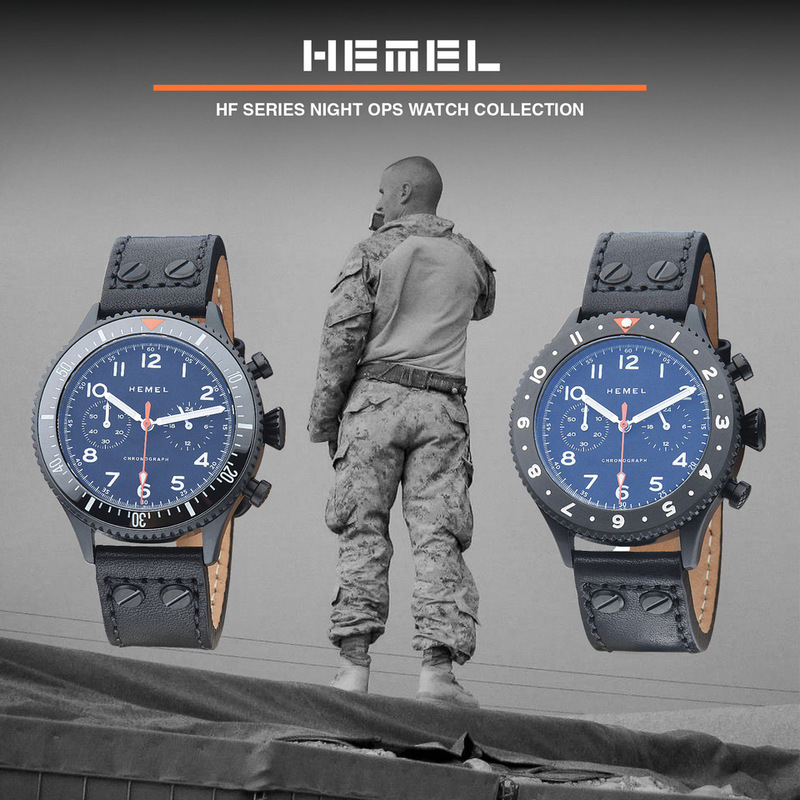 Other watches in the series have colorful accents but the 019 is a traditional monochrome. Gear tooth shape provides ample grip and does not bite your fingertips like the old Sawtooth bezel. The bezel moves with firm, smooth action and has no play. Good thing too, because the shroud only exposes the bezel in two quadrants, restricting your ability to rotate it. The dial is nestled deep inside the case, creating a shadow box effect that I love to see on big divers. It emphasizes the mass of the case and creates the illusion that the movement enjoys bank vault levels of security. The applied grey markers are tall and chunky affairs, that stand proud of the dial, creating some dramatic topography. The hands are stubby with exaggerated proportions and long tips. A GMT hand tracks a 24 hour index on the inner section of the dial. 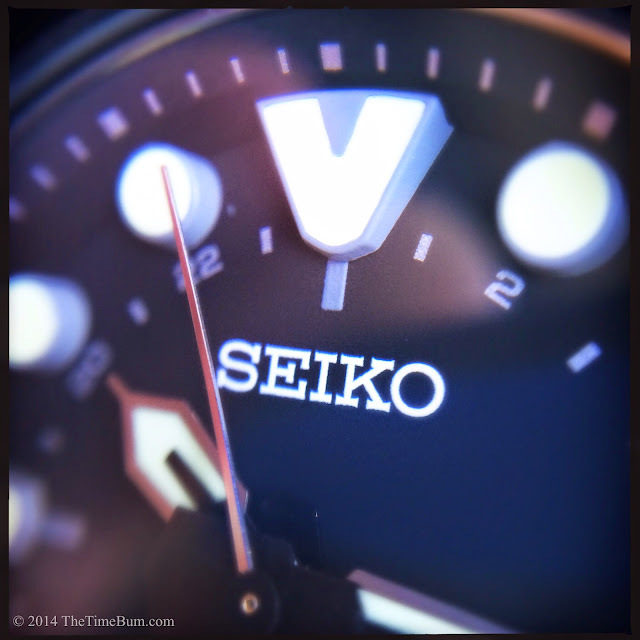 All hands and markers are treated with the potent Lumibrite that Seiko fans adore. Night visibility was predictably perfect - even the skeleton hand remained legible. Interestingly, the daylight color is not a bright white, but a warm cream color, and the indicies are printed in pale grey to match the markers. This slightly muted palette retains the necessary contrast and visibility, but creates a more complex and, to my eye, more satisfying effect than the more predictable white on black. It also proved fiendishly difficult to capture in my photos, so you may have to take my word for it. A color keyed date window is positioned between 4 and 5 o'clock. The Seiko Diver's text on the dial and intricate, high relief tsunami design on the case back, indicate that this watch meets scuba standards. It is rated for 200 meters water resistance. The crystal is anti-reflective coated sapphire. This is a departure from Seiko's usual Hardex mineral crystal, and more appropriate for a watch with a $695 list price. The series is sold with a bracelet or rubber strap. In my opinion, the bracelet is the only way to go. Like other "Tuna" case Seikos, the watch looks best when the clean, industrial elements flow smoothly into those fitted steel links. Two piece straps break the unitary design of the case, making the watch head look bulbous. One-piece NATO or Zulu straps seem even more awkward. Stick with the factory stainless steel bracelet, and you won't go wrong. 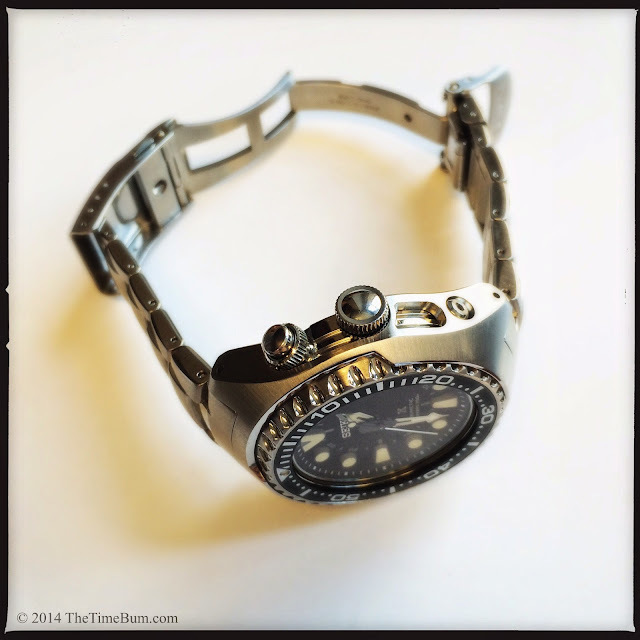 It is 24mm at the lugs, tapering to a 20mm clasp with a flip-out diver's extension. It is heavy and well made. The outer surfaces are brushed but polish peeks through in between the links, again offering a little glint like that seen in the bezel grips and case windows. Drilled lugs greatly facilitate its removal. The links secure with split pins and collets. It is a long bracelet with more than ample room for adjustment. Even after sizing down to a 6.5" circumference, there were still more removable links in place and fine adjustments in clasp. The watch will fit a wide range of wrists, but it would take a mighty confident person to wear it on a smaller one than mine. The curvature of the case masks the bulk, but it was still an imposing lump at the end of my arm. A heavy one too. On the bracelet, it tips the scales at about 233 grams, or over 8 ounces. 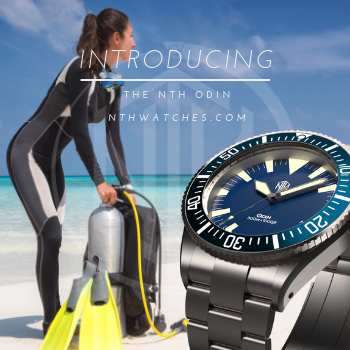 This is a watch made for serious activity, daring exploits, and punching Great White sharks in the mouth. 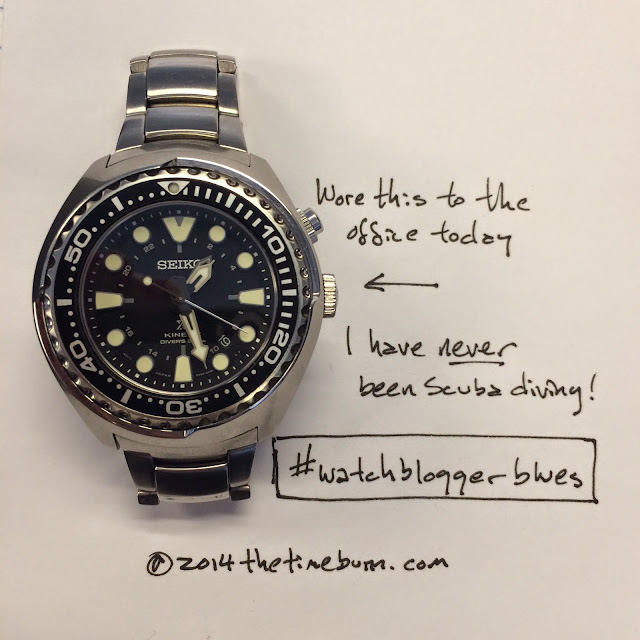 Sadly, my schedule was short on aquatic adventure, but I really wanted to give this beast some wrist time, so in defiance of both common sense and my own oft-repeated mantra of good taste, I wore it to the office for a few days. This gave me ample opportunity to appreciate the industrial details of the case, the functionality of a second time zone, and the fact that it looked completely absurd in that context. Seriously folks, don't try this at home. The SUN019 is awesome, but if your job requires a suit, it is strictly a weekend warrior. Alas, the day soon came to end the watch exchange and send this big Seiko back to its home. Mrs. Time Bum shed no tears, but I was sorry to see it go. The Prospex GMT Diver's is a solid sport watch, loaded with cool details, and clever technology. Sum: Cool and clever. The Time Bum approves, even if Mrs. Time Bum does not.